To be held at the Hilton Akron/Fairlawn Hotel in Akron, Ohio. Deadline to submit proposals: Monday, January 21, 2019, 5:00 p.m. The Society of Ohio Archivists’ 2019 annual meeting travels to Akron, Ohio, the “City of Invention,” this May. In the spirit of Akron, the Program Committee seeks proposal topics on the theme of “Invention and Innovation” in archives, collections, or related work. Creativity is encouraged! The Program Committee encourages proposals of panel sessions, student and professional posters, as well as alternative formats such as a debate, fish bowl, lightning, mini-workshop, pecha kucha, world café, and other session formats that encourage interaction between presenters and attendees. Please see the proposal form for more detailed information about alternative sessions. Proposals will be evaluated on clarity, originality, diversity of content and speaker representation, and completeness of proposal and presenters. The Program Committee also encourages proposals from students*, new professionals*, first-time presenters and attendees, individuals from related professions, as well as those from outside the state of Ohio. More meeting details will appear as they develop at: http://www.ohioarchivists.org/annual_conference/ & follow the conversation online at #soaam19. Co-chairs, Society of Ohio Archivists Educational Programming Committee*Note that applications for travel scholarships for students and new professionals are due by February 25, 2019. This entry was posted in Conferences / Meetings, News, SOA Spring Conference and tagged Akron Ohio, Locations, News on December 21, 2018 by Andrew Harris. 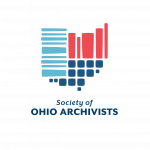 The Society of Ohio Archivists’ 2019 Educational Programming Committee is busy planning the May meeting, but we need your help! We are in the process of developing our pre-conference workshop, but we would like to find out what topics are of interest to those who might attend. 2017 saw the return of the SOA pre-conference workshop with a collaboration with the Ohio Preservation Council, hosted by the Ohio History Connection. Simple Supports for Dynamic Exhibits, led by Miriam Nelson & Catarina Figueirinhas, was a 2-hour hands-on workshop, full at 20 attendees. In 2018, Finding Aids for the Future, led by Morag Boyd and Cate Putirskis, presented in partnership with ALAO SCAig and hosted by Ohio History Connection, was full at 40 attendees. This year, our pre-conference workshop will be held on Thursday, May 16, 2019. In order to find out what archivists and other allied professionals would like in a pre-conference workshop, we are sending out a two-part survey. The first part, which is included in this email, will help us narrow down the topics. The second part, to be sent out early January, will help us determine logistical details based on the selected topic(s). This entry was posted in Conferences / Meetings, News on December 12, 2018 by Andrew Harris. The awards will be presented at the Society of Ohio Archivists Annual meeting on Friday, May 17, 2019 at the Hilton Akron/Fairlawn Hotel. This entry was posted in Conferences / Meetings, Scholarships, SOA Spring Conference on December 4, 2018 by Andrew Harris. The Society of Ohio Archivists’ 2019 Annual Meeting will be held on Friday, May 17, 2019, at the Hilton Akron/Fairlawn Hotel in Akron, Ohio, with a preconference workshop and mixer on Thursday, May 16. Join us for two days full of Invention and Innovation. Follow the Annual Meeting website and hashtag (#soaam19) for more information. And be on the lookout for the call for proposals, which will be sent out mid-December. This entry was posted in Conferences / Meetings, News, SOA Spring Conference on December 4, 2018 by Andrew Harris. The Conservation Center for Art & Historic Artifacts (CCAHA) (http://www.ccaha.org) is pleased to be leading the Regional Heritage Stewardship Program (RHSP), serving Appalachian regions of Kentucky, Ohio, and West Virginia. With a goal of creating working communities of practice among small organizations facing related challenges, RHSP offers a unique opportunity to increase collections care in individual institutions, as well as to meet and network with other collections care professionals in the region. Are you interested in learning about tips and techniques around advocating for collections care that are available to YOU in Appalachia? Do you want to learn safe techniques for framing materials in a hands-on workshop session? Join us for Focusing on Collections Care in Appalachia: Advocating for Preservation! We invite you to join CCAHA at Marshall University for a one-day conference to meet colleagues and volunteers in the cultural community and share challenges, best practices, and success stories for creating sustainable preservation initiatives and developing communities of support in the region. The program will also include a hands-on session on creating safe mounts for framed collections items. Participants will learn how to create hinges for works on paper using preservation grade supplies and techniques, and will also receive a sample pack of supplies to take back to their institution and teach a colleague! Funding for RHSP is generously provided by the National Endowment for the Humanities (http://www.neh.gov). CCAHA is a nonprofit conservation facility specializing in the treatment of works on paper, photographs, and books through conservation and state-of-the-art digital imaging services. Founded in 1977, CCAHA serves nonprofit cultural institutions, private individuals, and other collecting organizations. CCAHA’s preservation services staff present educational programs, conduct preservation assessments, and develop emergency preparedness plans. CCAHA also offers fellowships, fundraising support, and disaster assistance. This entry was posted in Conferences / Meetings, News, Workshops on November 1, 2018 by Andrew Harris. Preregistration has been extended through Friday, September 28 for the Society of Ohio Archivists and Ohio Local History Alliance 2018 joint meeting and conference: The Past is Present, October 5-6, 2018, in Dublin. See our Conference page for the program and link to registration! This entry was posted in Conferences / Meetings, Fall Meeting on September 25, 2018 by janet_carleton. The fall 2018 Ohio IR Day will take place 10:00am-2:00pm on Tuesday, October 30, 2018 at the State Library of Ohio. Registration is now open. Virginia Dressler, Digital Project Librarian at Kent State University will give the keynote presentation: Privacy Considerations for Digital Collections. The talk will focus on issues around privacy in digital collections; identifying private information and ethical considerations around less apparent privacy violations. Some case studies will be shared as well as some frameworks for practitioners to use to identify and assess privacy in digital projects. The day also will include lightning-round presentations and birds-of-a-feather discussions. We are currently looking for Lightning Round speakers. Have you been working a cool project that you would like to demo? Do you have some tips/tricks you would like to share? Please indicate on the registration form if you would like to present. Presentations should be about 5-7 minutes long. Event Name: Disaster Planning: Are You Prepared? Description: You never know when disaster will strike. It is important to be prepared and to plan for the unforeseen. Holly Prochaska, Preservation Librarian and co-manager of the Preservation Lab, a collaborative hybrid lab of The Public Library of Cincinnati and Hamilton County and the University of Cincinnati Libraries. Holly has worked at the University of Cincinnati Libraries since 1999 and has been the Preservation Librarian since 2006. Prior to heading Preservation, Holly coordinated University of Cincinnati Libraries’ renovation projects and facilities maintenance for the 10 library facilities. She has been an active member in the Ohio Preservation Council, serving as Chair from 2016 – 2017. Ashleigh Schieszer, holds an MA in Art Conservation from Buffalo State College and is the conservator of special collections and co-manager of the Preservation Lab. Ashleigh has managed special collections treatment at the Preservation Lab since 2013 and is currently serving as Education and Programs Chair for the Ohio Preservation Council. This entry was posted in News, Workshops on September 12, 2018 by Andrew Harris. It is OLHA’s annual meeting (packed with great sessions) with the addition of a SOA track on Friday (day 1), serving as SOA’s fall conference. Come for SOA’s sessions or come for the entire conference! Also single day rates and preconference workshop available. See registration link. Accommodations: A block of rooms has been reserved at the Crowne Plaza in Dublin (800.309.0989). Ask for the event code OLH or register online using this link to receive the discounted conference room rate of $101.00 + tax per night. Be sure to book your reservation by September 20; after September 20, the block of rooms will be released and the hotel may charge higher rates. Parking is free. For more information on the full program see http://www.ohiolha.org/what-we-do/alliance-annual-meeting/ or download the program brochure. Writing finding aids for your collections can feel daunting if you don’t know where to start. This session is intended for individuals who have little or no prior experience writing finding aids, and will focus on just the basics: what information does a finding aid absolutely need to include to meet archival best practices, and how can you get there simply. This year’s SOA Merit Award winner will highlight and discuss Project STAND (Student Activism Now Documented), which unifies historical materials documenting student activism from a variety of academic institutions. Representatives from the Ohio Historical Records Advisory Board and the Ohio Preservation Council will discuss grant opportunities relating to preserving and providing access to historical materials offered by their respective organizations. Archivists from different sized institutions and with a variety of job descriptions will be ready to discuss a variety of archival issues including donor relations, digital projects, archival best practices, and more. Come ready with archives questions! Robin Heise, records manager/archivist, Greene County Records Center and Archives; Nancy Horlacher, local history specialist, Dayton Metro Library; Amy McCrory, head, Digital Imaging Unit, The Ohio State University Libraries; Collette McDonough, archivist and library manager, Kettering Foundation; Adam Wanter, digital and special collections archivist, MidPointe Library System. In late 2016, The Dawes Arboretum History Department began to prepare for the digitization of its entire archival collection. The starting point of this project would be to digitize Arboretum co-founder Bertie Dawes’s journals. This presentation, using the journals as a case study, will outline the steps small institutions can take to begin mass digitization projects that have an online presence. This entry was posted in Conferences / Meetings, Fall Meeting, News on September 11, 2018 by Andrew Harris.